The Defence Industry is a strategic sector. The elements making this industry a strategic one is that its added value is quite high. It is a critical policy instrument of the country in the global environment. It acts as a pioneer for the other industries. It is a crucial instrument in the development of the technological structure and it renders countries dependent. This industry is a national power factor in respect to the survival of the country. Turkish Defence and Aerospace Industry reached its current success through experiencing three stages. Considering our defence industry requirements, during the period until the establishment of the Undersecretariat for Defence Industries (presently the Presidency of Defence Industries), rather heavy burdens were endured due to the implemented embargoes mostly caused by the single source and direct procurement supply system experienced throughout the period that lasted until the Peace Operation of 1974, yet these embargoes indicated that these supply systems were wrong. 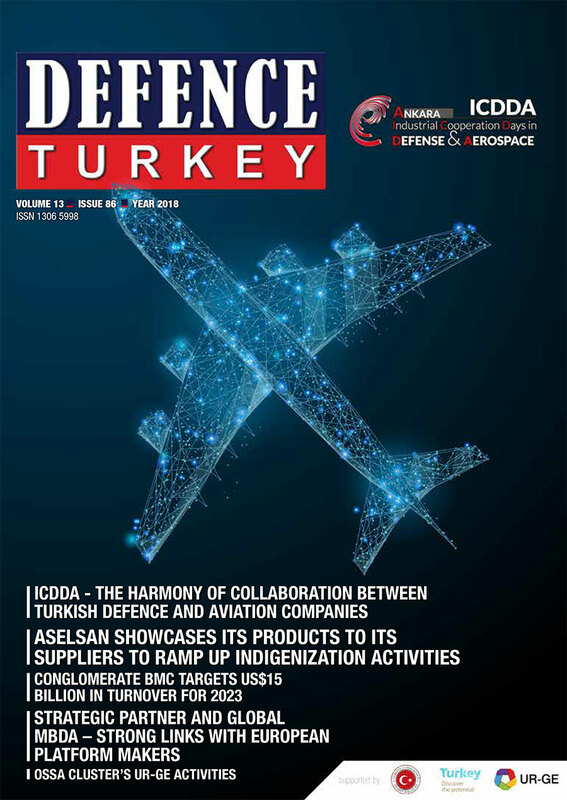 Then the transformation from the single source and direct procurement system stage started and multiple sources and off – the – shelf- procurement implementations were launched, thus the development of the Turkish Defence and Aerospace Industry was slowed down. The “Off – the – Shelf Procurement” system continued by reducing its speed in the beginning of 1990s, and production in line with the “Joint Production” and “Licensed Production” models that were adopted between the years 1990 – 2000. During this period, the products manufactured by the Turkish Armed Forces through domestic and national technologies fulfilled 20% of the requirements. On account of the projects conducted for the modernization of the Turkish Armed Forces (TAF), which focused on the domestic development model which started in the 2000s and a modern defence industry model that started to be built and critical platforms such as armored vehicles, corvettes, unmanned air vehicles and training aircraft were developed in the country and began to enter the inventory of the TAF. During this period, our defence industry was transformed into a structure based on “engineering and design-based production” and technological infrastructure from a structural focus mainly on “licensed production”. 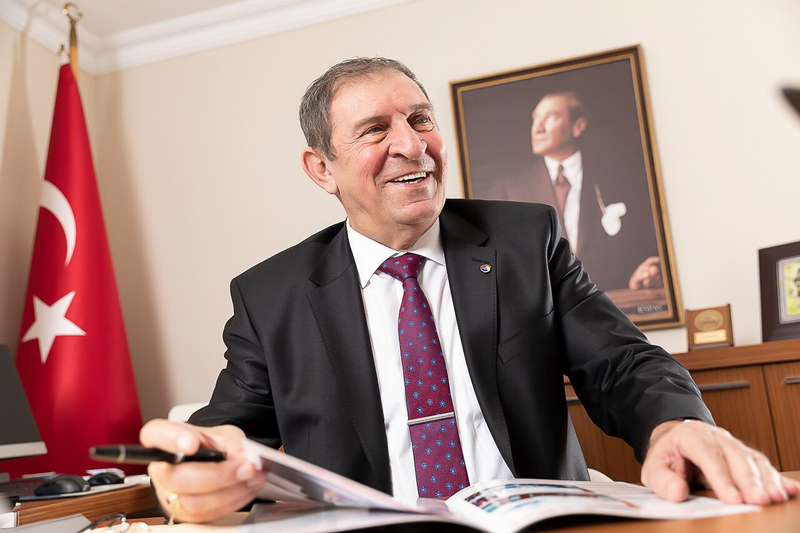 The policy of the Presidency of Defence Industries was based on building the main system projects on domestic companies as main contractors and this brought crucial impetus to the industry. National and domestic awareness was adopted by our companies, The Turkish Defense and Aerospace Industry initiated the establishment of a robust technological infrastructure with regard to key technologies. Covering the requirements of the TAF and our governmental institutions via domestic companies through the “domestic development model” was adopted as a national policy and positive results were achieved both in the modernization of the TAF and the development of our defence industry. As a result of these positive results, our defence industry reached a certain level of maturity in the fulfilment of the system requirements of the TAF and our security forces. It has reached a level of competency sufficient to design all types of land platforms, surface platforms and conventional weapons, ammunition and systems with tactical precise shooting capacities indigenously and including them in the inventory. It has also started to market these products competitively in global markets. Similar developments occurred in respect to satellites and as such, Turkish satellites in orbit now have started to send images captured to ground stations. Indigenous product development activities were launched for air platforms, and the stage of including UAV systems in the inventory was reached. The activities are expected to reach the same level for sophisticated air platforms such as the indigenous training and fighter jets and helicopters within the next 5 – 10 years. Our aerospace industry has reached a significant supplier status regarding the civil aviation area as well. The activities for owning indigenous products regarding submarine platforms are also being carried out intensively. Activities for the acquisition of the capability to launch satellites were included in the work items of our industry in 2013. As mentioned above, our country’s defence industry has started to gain competence in the aerospace industry, in all areas ranging from land, air, the sea and space. A critical point drawing the attention to the performance of the Turkish Defence and Aerospace Industry in 2017 was that a considerable part of the turnover – such as 25%- was composed of R&D expenses. This percentage has never reached 100% in any industries. US$ 1.2 billion of the turnover of US$ 6.653 billion was spent on R&D. This means that the products are outputs of mainly domestic and national products. While illustrating the overall picture, let’s mention the achievements of the Turkish Defence and Aerospace Industry as well. According to the survey results on 2017 performance, it increased its exports of US$ 1.677 billion to US$ 1.746 in 2017. Despite the fact that the aforementioned are the official export figures in accordance with the customs clearances, as the Foreign Exchange Earning Services Revenues are added, the export figure that we will tag as the Foreign Sales Revenues are around US$ 2 billion. When the official export figures are taken into consideration, the Turkish Defence and Aerospace Industry exports have led Turkey to rank 12th on the list. 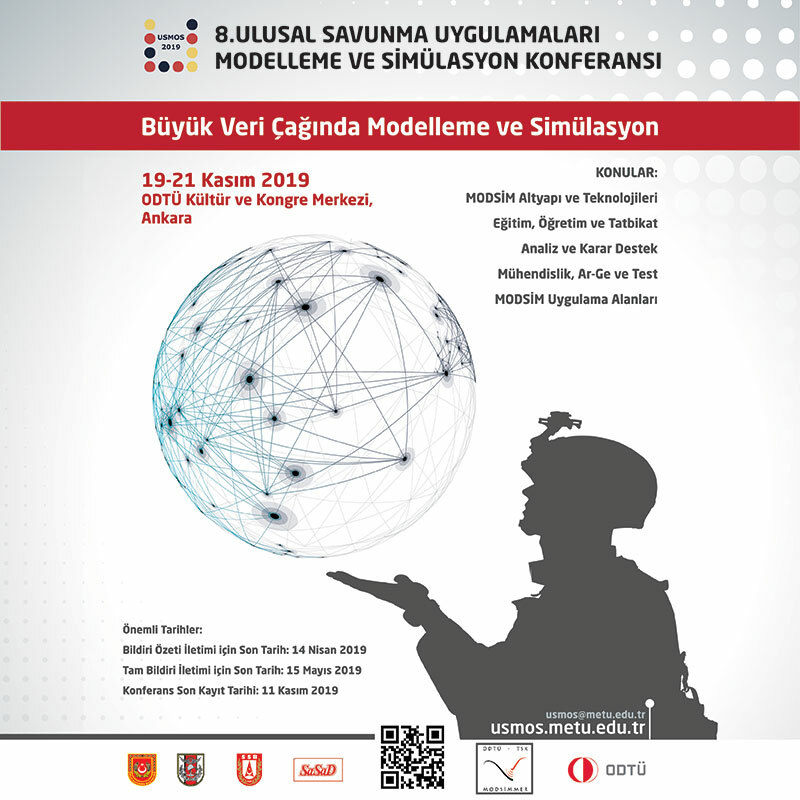 According to Turkey’s International Defence Industry Research Institutions, Turkey is regarded as a regional power and as one of the six countries considered to be rising manufacturers. As per our 2017 export data, this year US$ 0.635 billion in sales were conducted with the USA, US$ 0.464 billion to Europe and US$ 0.722 billion of sales to other countries. Compared with the previous year, it was observed that the exports to the USA did not change, exports to Europe increased and exports conducted with the Middle East Region decreased. On the topic of exports, I would like to mention a few points regarding our import status. Today, even though the USA remains as a top arms manufacturer in the defence industry, they also have to allocate the resources for various import items. We observe that Turkey is not amongst the top 10 importing countries in the ranking between 2013-2017. Within the scope of its imports valued at US$1.5 billion, Turkey needs to import raw materials and fabricated materials. Research institutes state that assessing the defence industry sector of countries considering their imports would be wrong. Actually, if the Turkish Defence and Aerospace Industry had not been sacrificed due to the Marshall Plan as part of the Truman Doctrine, it would easily be amongst the top five countries today. Our Presidency of Defence Industries has been conducting very critical activities focused on developing the Turkish Defence and Aerospace Industry and increasing its competitiveness. For instance, in order to develop the capability inventory of the companies active in the defence industry, activities for the on-site examination of the capabilities of companies active in the defence sector and the identification of the areas in need of support regarding such companies were launched. With the help of these activities to be conducted within the scope of the Industrial Competency Assessment and Supporting Program (EYDEP), the on-site identification of the capabilities and solutions of our sector’s companies could be accomplished. Based on these results, identification and support will be provided to these companies toward increasing their institutionalization, qualities and competition capacities. The aforementioned activities are also applicable for the company lists that could be declared by the project departments of the Presidency of Defence Industries and companies wishing to become players in the defence industry. In order to maintain the high level of assessment and analysis results of the companies in the industry, the assessors to be assigned in the evaluation process should go through the identified training and should execute the required processes. With the assessment system built within this scope, every company active in the defence industry will be assessed in respect to their performance in terms of project management, quality, capacity, reliability, financial structure, production competence etc. With the implementation of EYDEP, the companies’ alignment with the targets and strategies of the Presidency of Defence Industries could be monitored in real time and a mechanism through which the productivity of the companies could be tracked will be established. With this mechanism established, the responses of the companies to the requirements of the industry, their level of industrial competence, their preparation levels for technology development and indigenization processes could also be identified, reported and presented to the shareholders. As a result of the assessments, the support models for enabling the companies to reach higher levels in terms of competence and quality will be identified and submitted to the relevant companies. The Turkish Defence and Aerospace Industry has proven its sufficiency with its products in security operations. It became self-sufficient with indigenous land platforms, armored combat vehicles, the mine resistant ambush protected KIRPI armored vehicle, KOBRA armored vehicles and modernized tanks. It gained competitive capacity among its rivals in this area in the world markets, and our vehicles fulfilled their tasks successfully in the Afrin Operation and Operation Olive Branch. Moreover, the ALTAY tank was designed with the highest contemporary technology and rendered available for mass production. It has been manufacturing and exporting corvette class battleships and all classes of boats while building all classes and types of surface vessels regarding naval platforms. It also seized the design and technology required for the construction of submarines. Presently, Turkey owns the MALE class ANKA unmanned air vehicle with a wing span of 17 meters and with completely domestic and national electronic systems. So far, it has accomplished all the assigned tasks impeccably and it is a perfect technological product capable of very precisely detecting targets and transmitting them to our air forces, artilleries and missiles. With the inclusion of the BAYRAKTAR TB2 and ANKA UAV platforms to the inventory of the TAF, Turkey became one of five countries manufacturing indigenous platforms in this area. The task computers of the Italy - Turkey joint production T129 ATAK attack and tactical reconnaissance helicopters, all other platforms and systems are domestic and national. The task computer is the brain of the systems and it is the product of a very high and precise technology and our electronics industry is capable of achieving the production of this computer. The Self-Propelled Artillery System FIRTINA and 122-millimeter Multiple Launch Rocket Systems, CIRIT, UMTAS and OMTAS missiles are produced domestically. Nearly all of our smart ammunitions are being manufactured indigenously, and we carry out production that may be considered as self - sufficient in respect to light weapons and ammunition to a critical extent. Especially in the last ten years the industry accelerated its design, development and inventory inclusion activities and started to market its products on the global market. Also, as declared by the Presidency of Defence Industries. As a result, the industry has made a great leap; it has accomplished crucial indigenous investments and formed competent and experienced human resource teams. I believe that the continuation of the industry’s developing potential will be the most critical topic in the coming years. The Presidency of Defence Industries has included this issue in the strategic objectives of the Strategic Plan and in order to achieve this it identified the projects and activities within the action plan.